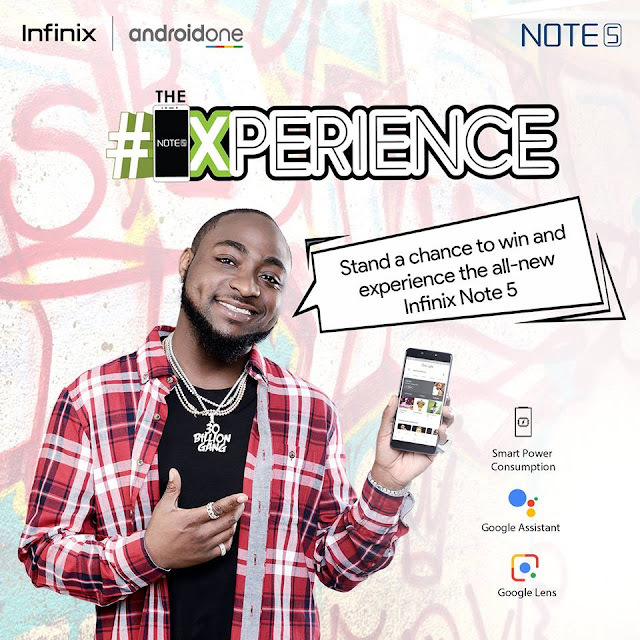 Here are the quick steps you need to take to join in and stand a chance of #TheInfinixNote5 and #TheNote5Xperience Trip. 1. Share some creative ways that some key Features of the Note 5 (Google Assistant, Google Lens and Smart Power Consumption) can be employed to make your everyday life better. 2. Post entry IN THE COMMENT BOX HERE use the hashtag #TheNote5Xperience. (Except video entries which should be posted on your timeline. 3.) Nature of entry is not rigid. You could share your creative idea by Texts only, Pictures, GIFs, Videos (to be posted on your Timeline) or a mix of all. You are not limited in any capacity! The most creative entrant will win a grand prize of the Infinix Note 5 and 4 runner-ups will be selected in the process. The grand winner and 4 Runner-ups will win a Note 5 Xperience trip to a beach resort. #TheNote5Xperience is a campaign that focuses first on educating our fans about the advanced features and usability of the Infinix Note 5. So, the campaign is broken into three (3) phases: The Education Phase, The Call To Action Phase and The Rewarding Phase. To participate, fans will need to cross the first two (2) phases before getting to the rewarding phase. In the first phase, you need to follow all the educational post about the Note 5 that we will be sharing on our social media channels. Also, you need to have shared all the educational post. These will get you qualified and familiar with the Note 5 and allow you to have a better grasp of the Note 5 Experience. STEP 3 – The most intelligent use of the Note 5 shared will emerge as our winner of the grand prize of the #Note5Xperience. There will be other consolation prizes as we go. 1) The most creative entry or grand prize winner, as well as follow-up winners, will be decided by the in-house team of Infinix Nigeria and this will be done by their sole discretion and in conjunction with the audience on social media. 4) All entrants must have shared/retweeted each of the educational banners that we will upload on our social media channels. b) #TheNote5Xperience Online competition is open to everyone who is a legal citizen of the Federal Republic of Nigeria. d) For every Entry, participants agree that they are the original owner of the video/picture/text uploaded and shall indemnify Infinix Mobile Nigeria for any claim by any third party arising from their entry. e) Infinix Mobile Nigeria reserves the right to select winners and disqualify erring participants. f) Winners must possess a valid form of identification which includes, but not limited to, International Passport (compulsory for prizes involving international travel), Drivers’ License, and the National ID card. 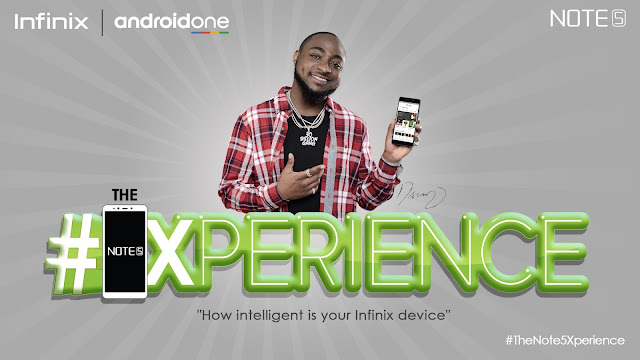 g) Winners agree to co-operate with Infinix Mobile Nigeria in any post-event publicity where they may be required to appear on television or radio, or in printed and online publications, for which no fee will be payable. h) Infinix Mobile Nigeria will not divulge the database of entries received to any 3rd party except in litigation. 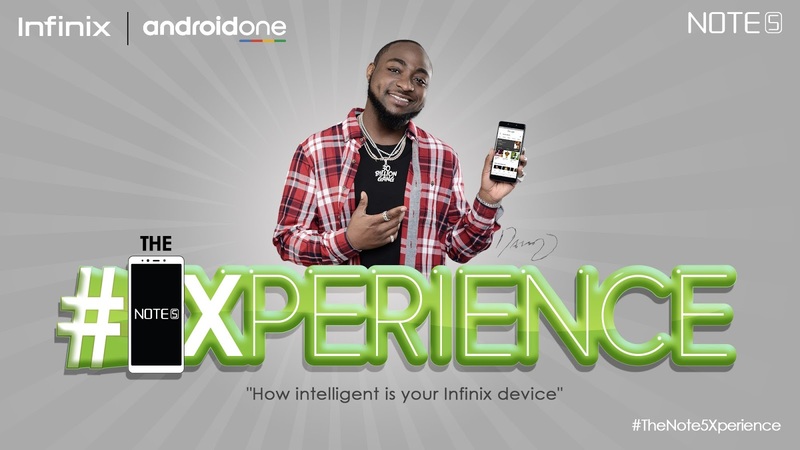 i) Infinix Mobile Nigeria reserves the right, at any time, to verify the validity of any part of an entry and participant (including a participant’s identity, age and place of residence, authenticity of activity) and to disqualify any participant who submits an entry that is not in accordance with these Terms and Conditions or who tampers with the entry process. Failure by Infinix Mobile Nigeria to enforce any of its rights at any stage does not constitute a waiver of those rights. j) Except for any liability that cannot be excluded by law and except as stated in these Terms and Conditions, Infinix Mobile Nigeria (including its officers, employees and agents) excludes all liability (including negligence), for any personal injury; or any loss or damage (including loss of opportunity).